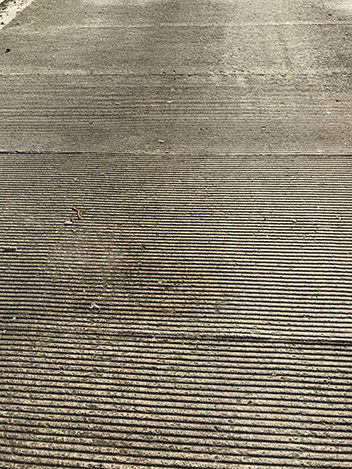 Rough Pan surface finish to the external concrete floor to improve slip and abrasion resistance during trafficking. 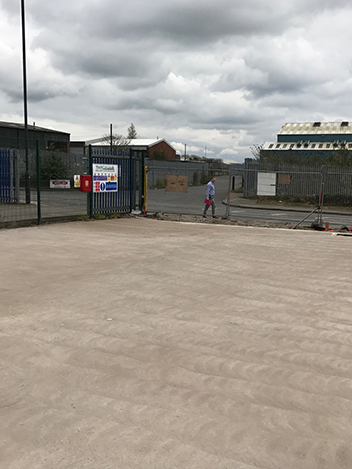 Level Best are able to offer varying different types of finish to the external concrete slab in order to cater for the clients requirements. 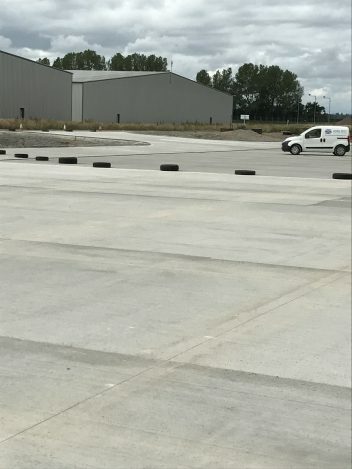 Most logistic centres in the UK have whats known as a “brushed” finish to the surface of the concrete with trowelled edge margins. Whilst this is aesthetically pleasing the fine brush finish is sometimes not robust enough to withstand constant heavy trafficking in conjunction with extremely cold weather. In such cases we frequently offer clients the opportunity to select a surface finish to the concrete with a more “course” texture. 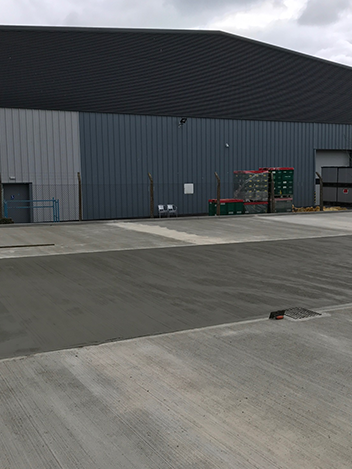 These surface finishes can be carried utilising the industrial concrete flooring contractor’s power floats or sometimes with special tooling capable of producing a combed surface finish.